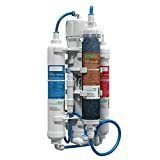 If you care about purity of the water you use at home for cooking and drinking, then you are probably thinking of buying a Reverse Osmosis System or you already have one. This is a system that can save you the cost of buying bottled water but only after you have properly installed it in your house. The installation process is simple and you can do it with little help in a short time. Here is the step by step installation process of a Home Reverse Osmosis System. Most Reverse osmosis Systems are meant to fit under the sink. However, a suitable place is that which is convenient to operate. Basements are an alternative in most cases. 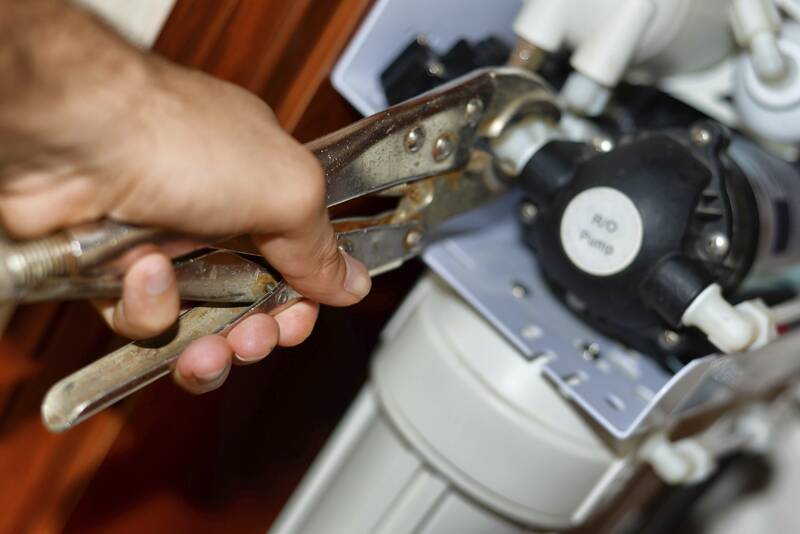 Installation should be done along the cold water line therefore the cold water valve has to be shut during the procedure. If your sink has extra holes for faucets or sprayers, then you can mount your faucet easily. However, if your sink does not have this, you can drill the hole. Drill carefully taking into account the material your sink is made from; whether porcelain or stainless steel. Holes that existed in the sink are mostly covered by a chrome plate. For this, simply remove the chrome plate and mount the faucet. The faucet spout should be left to move freely for convenience. 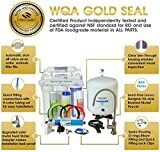 If you are installing a non-air gap faucet, insert the faucet stem into the hole then proceed to fit the flat rubber washer followed by the big chrome base plate and the big rubber washer. Slide on the plastic washer from under the sink, then the locknut and screw on the brass hex tightly once the faucet is well aligned. When installing an air-gap faucet, the spout is placed the same way. The chrome base plate is then slid underneath the faucet body followed by the big rubber washer. The slide in the plastic spacer with the open end up. Slide on the washer and screw on the brass hex. Place the drain saddle at a suitable location, preferably the highest possible point above water in the trap. Place the drain saddle far from waste disposal drains. Once you identify the point for your drain saddle, drill a hole, approximately a ¼ inch in diameter through a side of the pipe. Attach the drain clamp with its hole in line with the hole in the pipe. Finally, tighten the clamp well enough for easy removal next time you want to do maintenance. The tubing is of generally great lengths. The drain is the one that is kept short. The tank tube is connected from the filter to the tank valve. The faucet tube is fixed after cutting it to length, from the faucet bottom to the fitting adjacent to the tank and tighten firmly. The drain fitting is behind the membrane system. The drain tube is connected from here to the drain saddle.